PlanetCNC TNG is a high performance CNC system. It is designed with flexibility in mind and it can be used for mills, routers, lathes, plasma or laser machines as well as any other machine or system where coordinated movement of servo or stepper motors is needed. PlanetCNC TNG software works with Mk3 series of motion controllers and PC running windows 7, 8, 8.1, 10 or Linux. Further in this post we will describe few guidelines that you can follow in order to achieve better performance of PlanetCNC TNG software and more stable communication with PlanetCNC controllers. 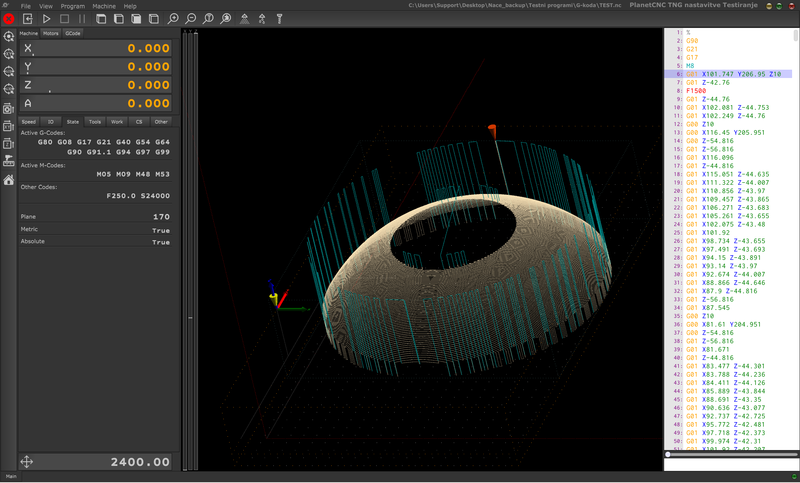 For best performance of PlanetCNC TNG software, PC with 4 virtual processors(cores) CPU is recommended. However, PC’s with 2 virtual processors will do just fine. Various services running in the background, antivirus software and program updates can interfere with PlanetCNC TNG performance and that is why dedicated computer is recommended. 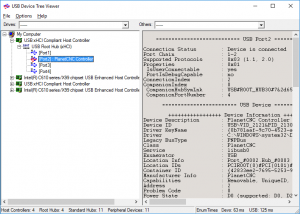 We recommend that you connect controller to computer USB port via USB HUB device. Note that controller should be the only USB device connected on this HUB. Alternatively use USB cable with active repeater. You can notice that PlanetCNC Controller is connected with PC trough various USB HUB devices(3 in total). 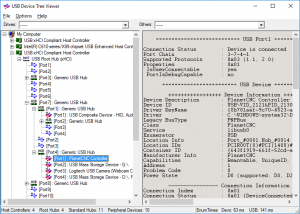 Also, if you look closely at the USB HUB device to which PlanetCNC controller is connected, you can see that other connected devices to this USB HUB, are mass storage device and USB camera, both known as devices with huge data flow. The data flow of camera or storage device could interfere with communication of controller which as result would not perform at its best performance. You can see that PlanetCNC controller is connected directly to one of computers root USB ports. There are no other devices connected to root hub. Use double shielded USB cable. If cable longer than 1.5m is needed then it should be one with active repeater. If Ethernet connection is used then dedicated network card just for controller is recommended. This prevents that high network utilisation interfering with communication. Controller should have its own separate external power supply. If controllers voltage is supplied only trough USB, than there is a possibility that voltage fluctuations on the USB power line could interfere with USB communication and as a result communication would drop. For Mk3 and Mk3/4 controllers you can use 8-24VDC, 200mA power supply. IMPORTANT!!! For Mk3ECO controller power supply must be +5V VDC. Please note that these are not minimum requirements for controller and software to function. PlanetCNC controller can easily function on Celeron based PC’s as also controller can be connected to HUB device which serves as source for multiple other devices. PlanetCNC TNG or CNC USB controller. you cannot use controller which firmware is updated with CNC USB controller software with PlanetCNC TNG. 4.) Each version of SW accepts its unique license key to activate controller. 5.) Once you purchase license for your controller you are entitled to both controller licenses. You do not need to purchase controller license for each software version. However, license for controller needs to be purchased.